Now that all the stockings are hung with care, complete the holiday scene with our Tropical Sunrise gift set waiting under the tree for your toddler! 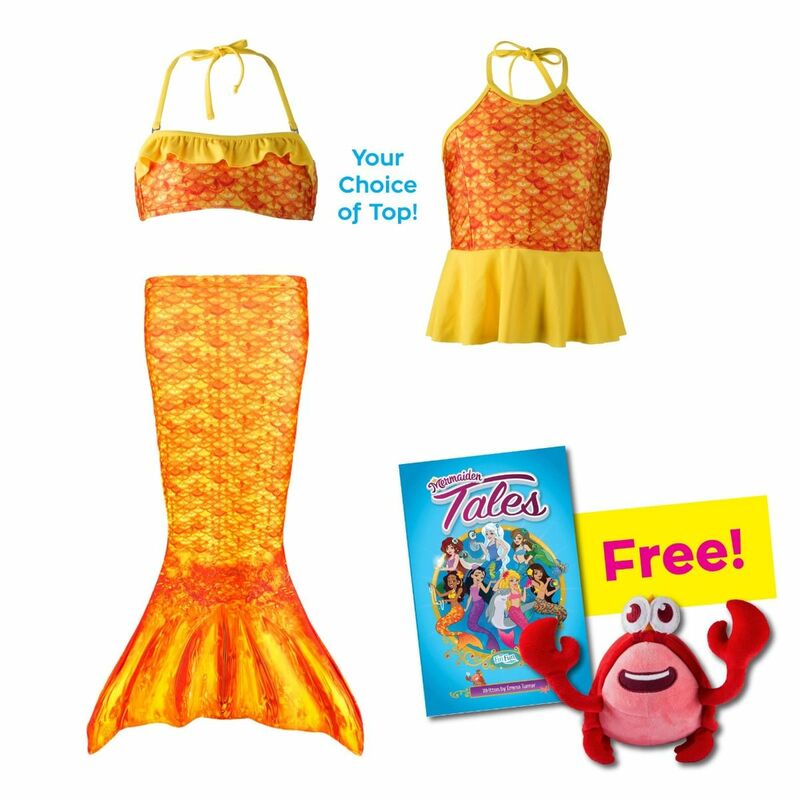 Set includes mermaid tail skirt & swim top, plus exciting extras! For the mermaid lovers who love bright and sunny colors, our Tropical Sunrise mermaid tail gift set is sure to make waves in your grotto! Featuring our popular scale pattern inspired by Mermaiden Destiny, this mermaid tail skirt and matching swim top are made of swimmable fabric to accommodate the days she plays in or out of the water. As an added bonus, she’ll receive her very own Mermaiden Tales book and plush FinFriend Frank the Crab!